Quakers have been recognised among the 100 most influential global actors in armed violence reduction in a new list published by Action on Armed Violence. Andrew Tomlinson and Jonathan Woolley, the directors of the Quaker United Nations Office in New York and Geneva, have been jointly named in the list, under the section of NGO and not-for-profit leaders. 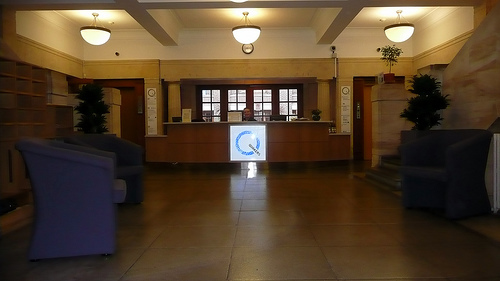 The QUNO directors are accompanied in the list by international figures such as former UN secretary general Kofi Annan, actor Angelina Jolie and religious leader the Dalai Lama. The Quaker United Nations Office, based in Geneva and New York, has been representing the concerns of Quakers to the UN since 1948. It works on areas including: prevention of violent conflict, peacebuilding, human rights & refugees, food & sustainability and the human impacts of climate change. The Action On Armed Violence ‘most influential people in armed violence reduction’ list is available at: http://aoav.org.uk/2013/top-100-the-most-influential-people-in-the-world-of-armed-violence/.